Original. Inspiring. Custom. Websites that work for you. Need a company brand, a website, business cards? what we do and we are here to help! 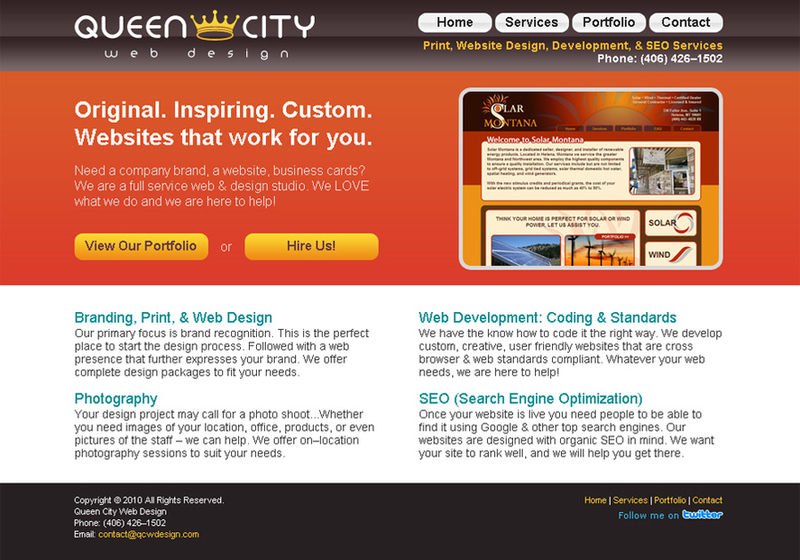 Queen City Web Design provides services worldwide! Our primary focus is brand recognition. This is the perfect place to start the design process. Followed with a web presence that further expresses your brand. We offer complete design packages to fit your needs. We have the know how to code it the right way. We develop custom, creative, user friendly websites that are cross browser & web standards compliant. Whatever your web needs, we are here to help! Once your website is live you need people to be able to find it using Google & other top search engines. Our websites are designed with organic SEO in mind. We want your site to rank well, and we will help you get there. This is a screenshot of the home page of our website.